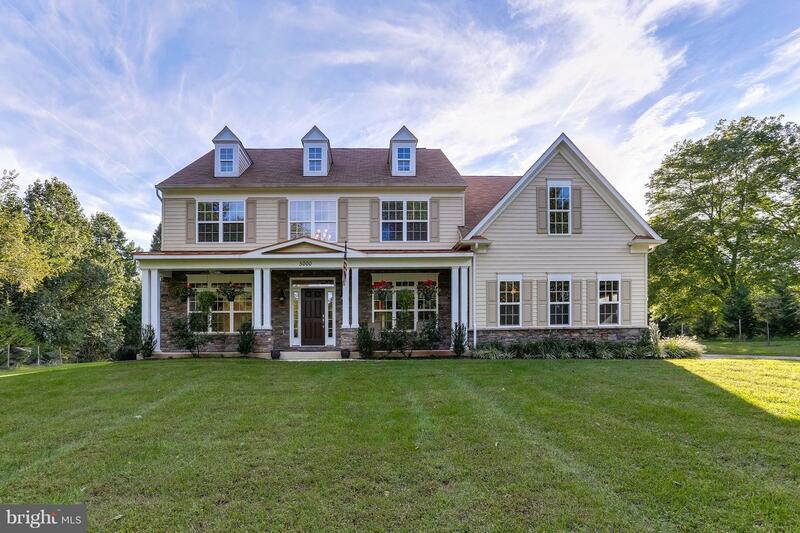 This stunning home is idyllically located on a sprawling 1.5 acre secluded oasis in Olney Acres. The private driveway leads past the house to a fenced backyard featuring a two story barn, lush landscaping, outdoor entertaining area with deck, and open space. Oak hardwood with a rich mahogany stain is throughout the entire main living level of this pristine, gently lived in home. The classically designed interior boasts a gourmet kitchen with granite countertops and stainless steel appliances, a large study/office, picture framing and upgraded trim throughout, gas fireplace, spacious Owner's Suite with sitting room, large walk in closet, and modern bath with double vanities and soaking tub. The fully finished lower level offers additional entertainment space, a den/office, as well as a fifth bedroom and full bath. Top of the line systems including: Batt Septic System, UV Water Filtration System, Circulating Hot Water Heater, Constant Pressure Well Pump, and prewiring for your generator put this house in its own class.